Consider yourself lucky if you own a freestanding bathtub on feet. Now there's a new way to return your "piece of history" to its former glory. Take a good look at your old free standing bathtub. The first thing you'll notice is how roomy it is -wide, deep and long. Tap it and see how heavy and strong it is - solid cast iron made to last a lifetime. 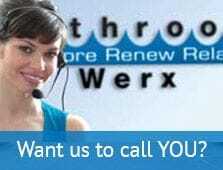 Don't worry if it looks a bit "past it", Bathroom Werx's renovators have the specialist know how to remove rust, fill chip marks and even polish away stains that have accumulated for decades. 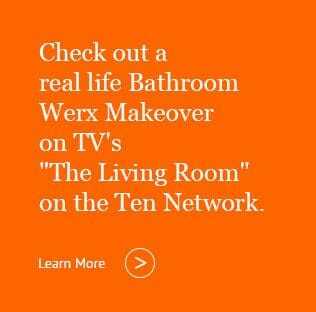 At this point, Bathroom Werx helps you make important decorating decisions. With the wide range of colours, you can stay 100% "heritage" or mix and match as you please. Spokesman for the group, George Yammouni, CEO, adds "Once we've shown them how re-enamelling completely transforms their old 'ball and claw', many home owners ask us to colour match their antique basins and pedestals. We also show them how to choose from our reproduction or modern accessories to match or complement those lovely old fashioned bathroom floors, walls and tiles".